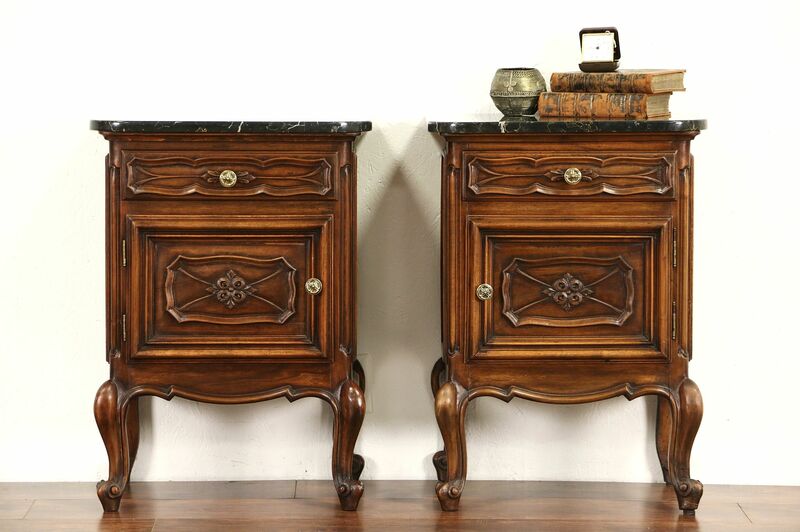 A pair of marble top nightstands or end tables was hand carved about 1910 in the Piedmont region of northern Italy, around Milan. The original finish is very well preserved on this solid walnut antique furniture. Panels are raised, drawers have hand cut dovetail joints. The famous "nero portoro" black marble has been polished and sealed to resist stains, there are minor scratches. A true left and right pair, size is 20" wide, 13" deep and 28" tall.